The Parol is a traditional Philippine star lantern. From its most basic form of a five pointed star made of bamboo sticks and Japanese paper, the modern parol now graces a lot of Filipino homes abroad in elegant capiz shell designs. 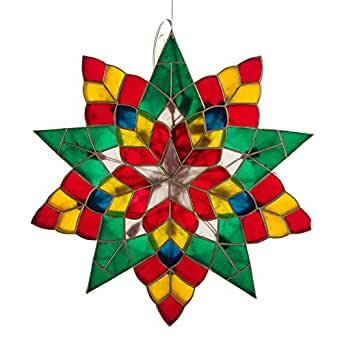 Each Gift Ko capiz parol is handcrafted by artisans in Pampanga, Philippines with skills passed on through generations. Each piece is unique and occasional scuffs and scratches on the hand-pounded capiz shell surface is normal. There may be also dents on the brass siding from hand-forming the lantern frame. All these imperfections lend to the character of each piece and do not detract from the beauty of the light display when the parol is lit.